When I first imagined the character of Oliver Hazard-Perry, I knew certain things about him from the beginning: that he was Schuyler's best friend, that he was a quiet, sarcastic, artsy guy, who preferred shopping to lacrosse, and was cool and rich enough to hang with the in-crowd, and yet preferred to throw spitballs at the in-crowd from the sidelines. I picked his last names from a list of prominent American family names (the Hazards and the Perrys), and I put them together because they sounded good together, and it gave him a more 'richie-rich' air. And yes, later I realized there was a commander called Oliver Hazard-Perry who won the War of 1812 for the Americans, which made his name resonate even more, because now there was some history behind it. Cool. The inspiration for Oliver came from my best friend in college, who had lived in Paris and was sophisticated and worldly and sarcastic, and who was slim and handsome and had a swoop of caramel hair over his hazel eyes. But as with all my characters, Oliver took on a life of his own once I began to write the story. For instance, in the beginning, I thought that Oliver was a Blue Blood, that he was a vampire. It was only halfway through writing the first book that I realized—no. Oliver was human. He was a conduit. And as for when he began to love Schuyler, in the books he states that he loved her from the beginning, and also that he only loved her when she became a vampire. I get some emails pointing out this "discrepancy". This is funny to me, because to me, Oliver is a real person, and real people change their minds all the time, or lie to themselves. In Masquerade, when Schuyler sees that Oliver has been in love with her from the very start, she is seeing what she wants to see, she is interpreting w hat she is seeing so is it the truth? Who knows? In Revelations, when Oliver filed his Conduit reports and stated that in contrary to what Schuyler believed, he only fell in love with her when she turned vampire, that's what he believes in that moment. Maybe he's lying to himself. Maybe he's trying to sound braver than he is. I don't think it's a contradiction at all. Human beings are full of contradictions. What I love about Oliver is his sense of humor. He's so grounded in the middle of all this supernatural craziness, so he keeps his head. He's also privileged and yet he carries it lightly, and he's a hard worker. No one pushes him around. He's very strong and he's dependable, and I can see how people have a hard time choosing between Jack and Oliver, but I always tell them they can be like me and love them both. I have a lot of affection for Oliver. There's a scene from the beginning of Revelations, when he and Schuyler sneak out to perform the Sacred Kiss, and she touches his soft, soft hair. Swoooon. I can still feel his hair in my fingers, it's baby soft, and it smells like grass. 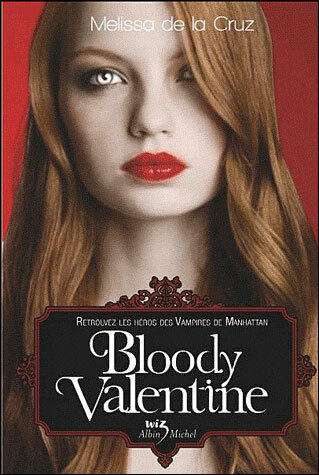 Melissa is also offering one copy of Bloody Valentine to one lucky reader! Please note that I don’t know which edition you will receive. To enter, you have to leave a comment letting me know which cover is your favorite. Please include your email addy if it’s not in your profile. You can also earn an extra entry for spreading the word, please provide link in a separate comment. Vampires have powers beyond human comprehension: strength that defies logic, speed that cannot be captured on film, the ability to shapeshift and more. But in matters of the heart, no one, not even the strikingly beautiful and outrageously wealthy Blue Bloods, has total control. 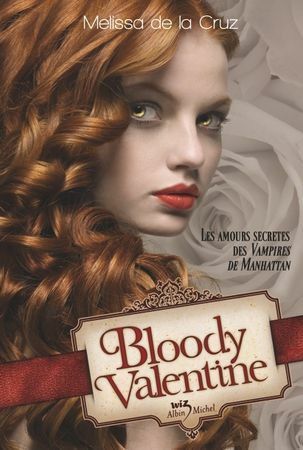 In Bloody Valentine, bestselling author Melissa de la Cruz offers readers a new story about the love lives of their favorite vamps - the passion and heartache, the hope and devastation, the lust and longing. Combined with all the glitz, glamour, and mystery fans have come to expect, this is sure to be another huge hit in the Blue Bloods series. Also, witness the bonding of Jack and Schuyler. Love, love, love Melissa's guest post. I love the character of Oliver Hazard-Perry. Although I must say I am totally a Schuyler/Jack fan I love the fact that Oliver is such a devoted friend to Schuyler no matter his feelings for her or her lack of feelings for him (boyfriend wise). I am loving the cover with the Vampire bite marks. To me it just goes nicely with the title Bloody Valentine. Don't get me wrong the other covers are great but the bite marks cover just speaks to me. Thanks for the guest post and giveaway! I always love knowing how authors get their inspirations. My favourite cover would be the one with the flower close-up; really like the flower and lace details at the bottom! My favorite cover is the second one. I love her hair! I love the third cover. The bite mark really draws you in. I personally love the US cover the best. The flower is gorgeous. And I think it's really clever that you can see the blood drops under the flower. I think the one I most like is the one with the flower. Its elegant. I like both cover number 1 with the flower, and cover number 4 with the model kind of looking at you from the side. Her eyes are very striking! Oh wow, fabulous interview and giveaway! I love Oliver but I'm more of a Team Jack. My favorite cover is the one with the flower. It's a beautiful flower, and it goes so well with the pale skin and red lips. The design at the bottom is beautiful too and this is probably one of my favorite covers ever. GREAT giveaway!!! The blue bloods series is amazing! thanks so much for being open to Canada! I like the cover where she is looking over her shoulder. It is my favorite. I would love to read the book, it sounds really good. I like the cover where the girl has curly hair and is looking out at you sideways and you can see her eyes glowing. That one is really pretty. It's the second from the bottom. Hmmm I cant decide if i like cover 1 or 4 better theres something about her eyes in 4 that draw me to the cover. Aww, I love this post, especially the meaning behind Oliver's name and character. My favorite cover is the US cover, with the flower. In this series, I tend to like the US covers more. They're just so glamous! I like the giant flower one and the one where she is kinda facing profile but also looking out. The top left, US cover is my favorite. It fits the rest of the series, as well as adds it's own beauty. The red is gorgeous. I love the cover with the flower. It is a cover that really draws you in. Thanks for the giveaway! My fav is the one with the flower. Happy Valentine's Day! Don't include me in the giveaway! The second one! I love the girls hair and the slight glow to her eyes are really cool! they are all lovely but since you asked us to pick one, I am going to say the one with the girl holding the flower is my favorite! Very pretty. I love our cover the most, #1. I like the original US cover the most. The flower really draws my attention to it. I like the mostly white cover where the only red is the lips and bite marks. I love the US cover with the flower the most. It's just so striking, to me. Thanks for the giveaway! I love the cover with the closeup of the flower, it's beautiful. My favorite cover is where her curly hair is pulled back, but the one that draws my attention the most is the neck one. Scares me a bit. I really love the first cover with the big bold flower. It's actually one of my favorite covers in general. Very bright and striking. Thanks Tynga for hosting this post & giveaway. My favorite cover is the first one (US edition). The flower is so bright and striking. It really draws my eye. Nice guest blog! I love hearing things about Oliver. Melissa de la Cruz is such a great author, she writes great stuff, even for interviews or posts like yours. The cover with the flower is my favorite as well. I love the us book cover with the flower. I like it b/c you can interpret the characters how you want them to be and its a beautiful flower. I really like the one where there are 2 bit marks on the next.... very enticing! I like the second cover best. It's eloquent and the red-head is beautiful! I like number 1. The folower make me want to know what the book it about. There is something about flowers on books that draws me in even though I am not a flower girl at all. Its kinda weird. First I have to say that Oliver has always been one of my most favorite characters and to finally get to see how his creator sees him is beyond awesome. Second I have to say I just love the first cover, it's so vibrant and the colors are so eye catching. Aww, poor Oliver. I hope he can catch a break soon. I like the cover with the flower the best. I like the american cover. Oliver is one of my fave characters in the series. He is rich with emotion and history and I enjoy anytime that I get to read him interact with the other's. This was a great post Tynga! I really enjoyed it. Definitely the one with the flower. I'm an old follower on GFC-Lisa Richards. I really like the US cover. Its really quite striking. My favorite is the first one with the pretty flower. 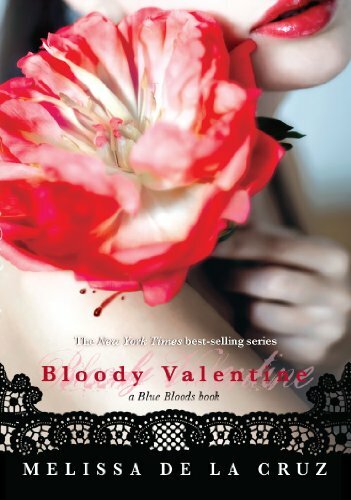 The first cover with the flower =) I have read all of the other books and this series has to be my favorite vampire series ever! I would buy this book, but with all the new releases I just don't have time. I would really like to win a copy of this book. Thank you so much for giving us a chance to win this book. I really love the U.S. cover. Would love to read about the bonding ceremony in this book! Great covers I love the first one with the flower the best! Thank you so much for the great giveaway! The flower against the white skin and red lips is the one I like the most. My favorite is the one with the flower, but the one with the bite mark on the neck is a close second. I like the american cover the most! I love the cover with the flower. I really love the first cover with the big bold flower. It's one of my favorite covers in general.